The long term residents of the Carriageworks have now left the site. The Carriageworks and Westmorland House have been derelict for as long as most people now living in the area can remember. It is a rotting hulk, a ruin to explore, a canvas for artists and even, tragically, the place of death for a number of people. Some years ago with the fatalities increasing, the owners of the site, Opecprime / Comer Homes, agreed to allow a group of people to set up home on the backland in return for them keeping trespassers away. For many years they did this successfully, living alongside the rest of the community and otherwise going about their regular lives. The site residents had discussed the future redevelopment of the site with CAG and subsequently Fifth Capital’s Marc Pennick. They weren’t opposed to development but asked for time to move off as and when. Marc promised that he would give them six months notice. In the meantime everyone was happy that they kept the site secure. 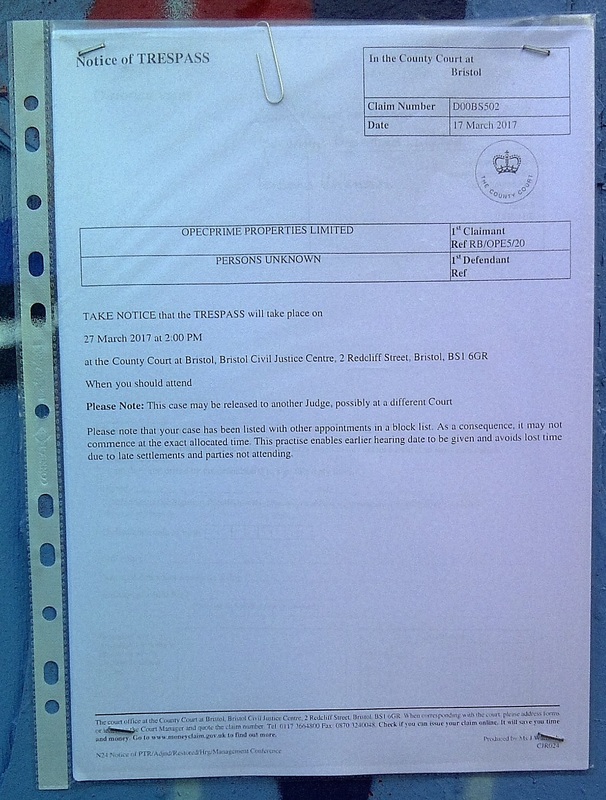 It was therefore something of a surprise when a Notice of Trespass appeared on the gates in March. The residents went to Court and, supported by CAG, argued their case that they were there with the consent of the owner. The Judge agreed and set a second hearing in May when agreement was reached for the residents to be able to stay on the site until October. On Saturday 7th October the residents celebrated their last night on the site. They’d spent the previous weeks moving equipment away and cleaning things up. The party was a long goodbye, going on well into Sunday morning until the DJ played out with ‘Hit the Road Jack”. And with that an era came to an end. It had been intended that Comers’ security company would arrive to take over possession of the site that morning, but they didn’t. Some of the residents therefore stayed on to keep things secure overnight. The next morning the security finally arrived and the keys were handed over. With Comer now in vacant possession of the site the purchase by PG Group can be completed. We understand that this can be after 20 days – so 29th October should just about do it. So thank you to everyone who lived on the site over the years, thank you for being part of the community and thank you for keeping it safe. And good luck with wherever life takes you.